[New York, NY – January 22, 2019] – KoreConX is proud to announce its partnership with Agoracom, a small cap community that has connected over 5 million investors and public companies in a moderated, smart discussion. Agoracom is the Web 2.0 online marketplace and forum for citizens of the small-cap investment community. Public and Private companies, shareholders and prospective shareholders amalgamate for the purposes of communicating in a monitored and secure environment free of trolling, profanity, bashing, and spam that have plagued finance communities. “We are very excited about our partnership with Agoracom, as they provide the necessary environment that companies and investors need in order to connect, with their established platform they are now able to support the private company ecosystem,” said Oscar Jofre, Co-Founder & CEO at KoreConX. 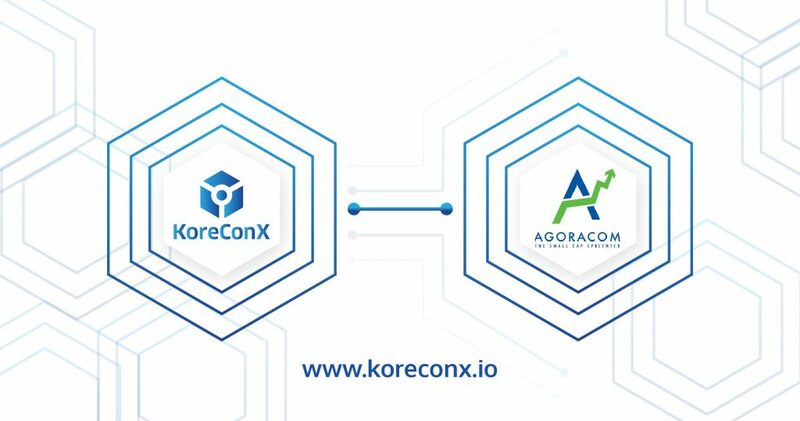 Agoracom has become part of the KorePartner ecosystem, a group of selected broker-dealers, secondary market platforms, capital markets platforms, lawyers, compliance, investor relations, media, accounting and marketing firms that support the KoreConX security token protocol and adhere to KoreConX governance standards. KoreConX’s KorePartners are from around the globe and bring the necessary expertise that a company will need to launch a fully compliant security token in multiple jurisdictions.